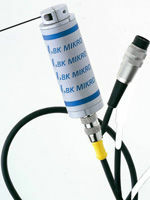 Complete BK Mikro 5-RL System at Techna-Tool Inc.
BK MIKRO 5 is a broken tool detection system designed to swing right then left to detect two tools. This helps keep the monitoring cost per tool down as well as reduce congestion in the tooling area. Automatic detection of home position (point of reference between scanning positions), or manually established home position. Fault and OK outputs are Relay Contacts which can be selected to either normally open or normally closed. 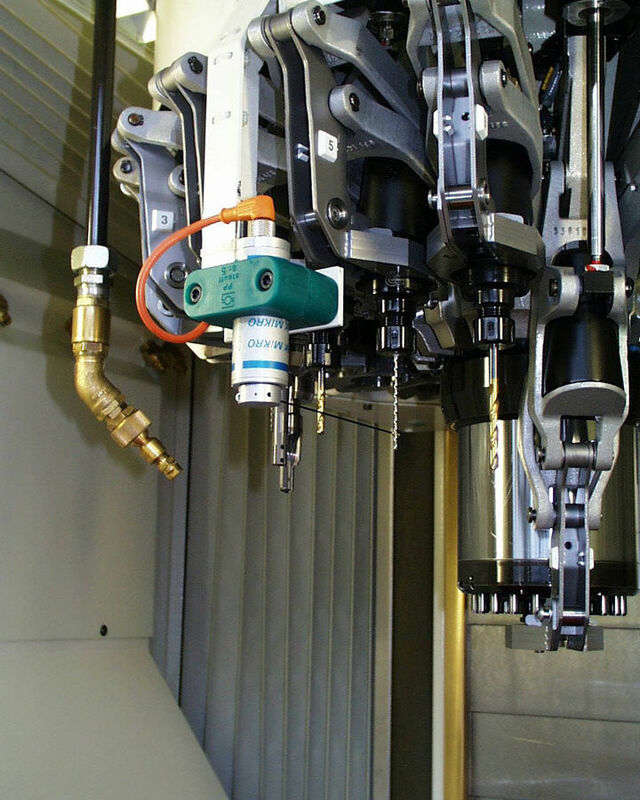 Two settings of controlled acceleration and deceleration allowing for the checking of small diameter tooling. 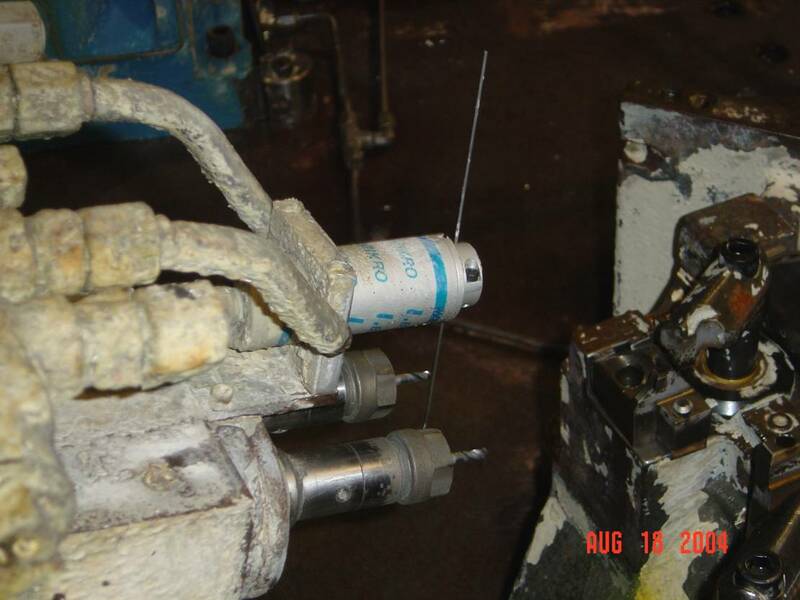 Internal diagnostics which detect cable breaks. For initial setup of the unit, place the wand between the two tools that you wish to monitor. Supply a 24vdc signal to the "Learn" terminal and the wand will move left until it touches the first tool then move right until it touches the second tool. The wand then centers itself between the two tools and this becomes its home position. You can also set the wand to the outside of the tools and it will rotate around and touch the outside of the tools. This is useful if having the wand's home position between the tools is not possible due to spindle or slide movement. Once the positions are learned, to check the tools simply apply a 24vdc signal to the "Start" terminal to initiate the scanning cycle (this can be done via the CNC, PLC or with a relay). 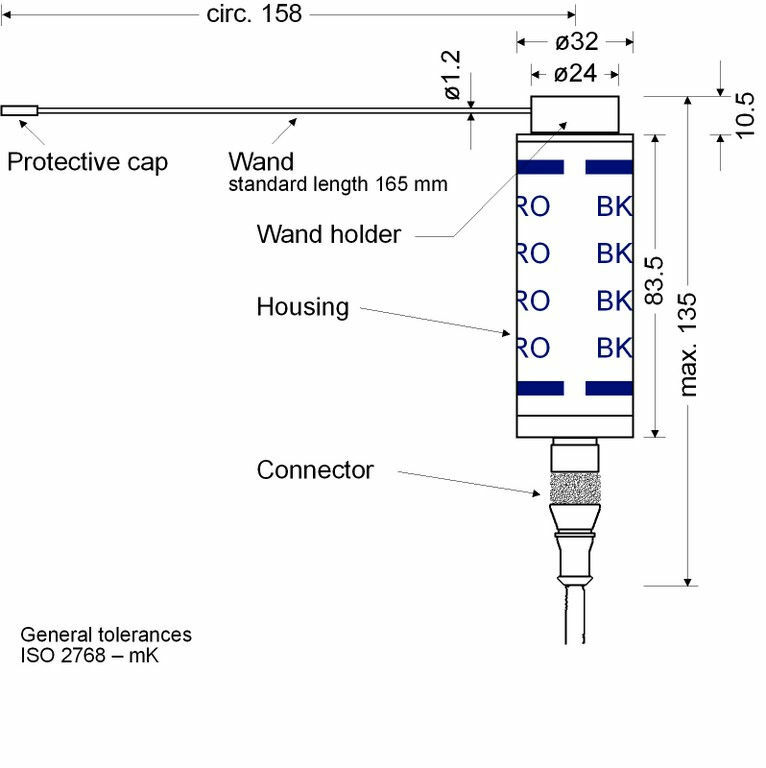 The wand will rotate to the selected position and verify that the tools are present. If everything is alright the unit will output an "OK" signal to allow the machine cycle to continue. 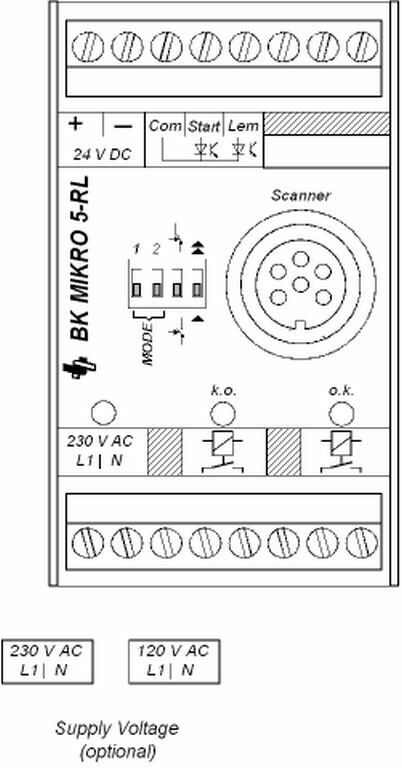 If either of the tools is broken the wand will travel past the stored position and the controller will output a "KO" signal to let the machine know there is a problem and shut down automatically. Each position is checked within a +/- 10 degree window. Inputs: Input Current: 5mA approx.